President Trump rescinded his White House invitation on Twitter Saturday morning after NBA Golden State Warriors star and two-time MVP Stephen Curry said he may not attend the event to honor his team's championship win. Hours later, the Golden State Warriors said they were "disappointed" they didn't have the chance for an open dialogue, saying they will instead spend the day in D.C. celebrating diversity, equality and inclusion. Mr. Trump, the morning after he attacked the NFL and 49ers quarterback Colin Kaepernick at length during a rally for U.S. Senate candidate Luther Strange in Alabama, said going to the White House is a "great honor for a championship team" and criticized Curry for "hesitating." 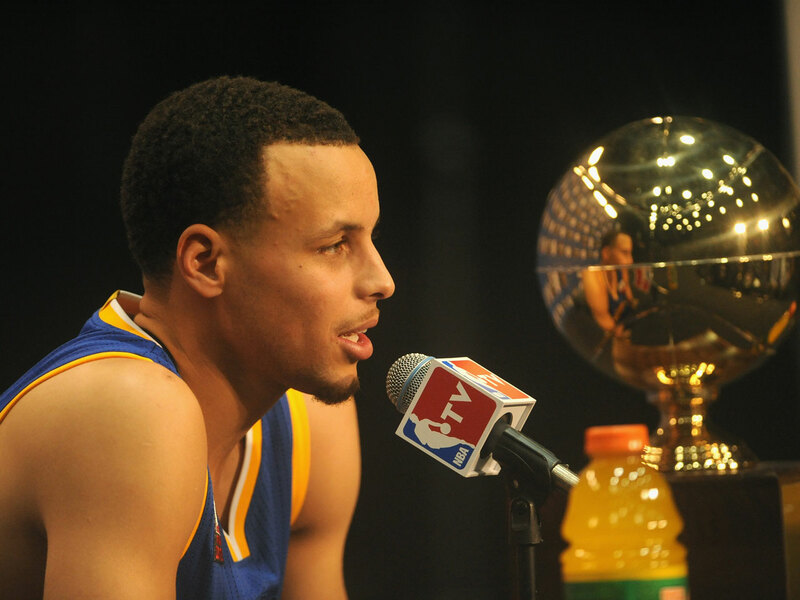 Curry said in an interview on ESPN this week that he would prefer not to attend. "Fox and Friends" aired a segment on Curry's comments 21 minutes before the president's tweet. It's unclear if the president's rescission applies to just Curry or the whole team, although the president seemed to indicate the invitation could be for the entire team. Curry on Friday had told reporters he had concerns about attending, alluding to Mr. Trump's decision to blame "both sides" for the violence in Charlottesville, Virginia. Three-time NBA champion Cleveland Cavaliers player LeBron James said going to the White House "was a great honor until you showed up," referring to Mr. Trump. Curry's wife, Ayesha Curry, responded to the president on Twitter, encouraging him to donate to relief efforts in Mexico after the devastating 7.1-magnitude earthquake that devastated Mexico City and the surrounding area earlier this week. But attacking professional sports teams and their players is becoming a theme for the president. On Friday night, at a rally for Strange in Alabama, Mr. Trump launched into a tirade against the NFL, and Kaepernick specifically, using a choice cuss word to describe him for declining to stand for the national anthem. The president said the NFL should fire players who kneel during the national anthem, and lamented what he sees as a decline in violence in the sport. "They're ruining the game,"he said. NFL commissioner Roger Goodell responded Saturday morning. "Divisive comments like these demonstrate an unfortunate lack of respect for the NFL, our great game and all of our players, and a failure to understand the overwhelming force for good our clubs and players represent in our communities," Goodell said in a statement. Mr. Trump has attacked the NFL and NBA at a time when his own party is trying to focus on health care and muster enough votes for a last-ditch attempt to repeal and replace Obamacare next week. Senate Republicans' latest effort to tackle health care is in jeopardy, after two Republican senators -- Sen. John McCain, R-Arizona, and Sen. Rand Paul, R-Kentucky -- announced they oppose the bill. More GOP senators are uncertain. If Republicans lose three votes, they also lose hope of passing the bill before a crucial Sept. 30 deadline.